Looking for ideas? You've come to the right place! Finding, maintaining, and cultivating a customer relationship requires a bit of nurturing and attention. It is a bit like planting a tree. At first, the seed is planted, and it is very small. Slowly over time, as water and the sun nourish the seed, it will grow into a lovely tree that provides shade. Just like cultivating a quality customer relationship, intentional nurture can help develop a stronger customer relationship. If it has been awhile since you’ve heard from your best customers, don’t waste another minute. Start planning to reconnect with these important people. 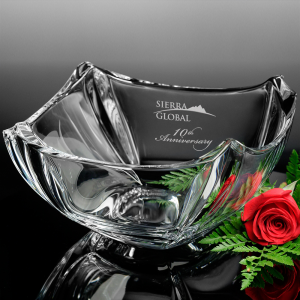 Crystal gifts and awards are a perfect choice to capture their attention. An easy way to recognize your best clients is to give them an unexpected gift along with a note of appreciation. 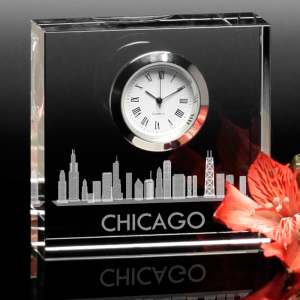 The personalized Nova Clock and note, as seen here, combine to create a stunning gift package. A clock symbolizes the passing of time, longevity, and the timeless nature of a sincere customer relationship, while the handwritten note provides a personal touch that gets right to the heart. When you ponder how you’d like to honor your best customers in a meaningful way, involve both your head and heart in the decision. Use your heart to choose words and sentiments that will communicate just how important your customers are to your business. Then use your head to choose an award that will properly symbolize and embody the recognition event. 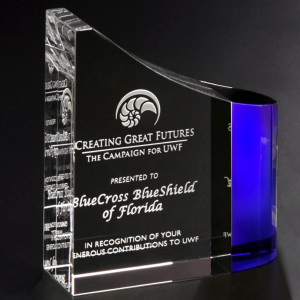 Look for characteristics in an award that match the personality and spirit of the recipient, choose something that looks and feels like something the recipient would have chosen for themselves. To download the customer retention article, click here. Take a look at our brilliant ideas for customer retention! Page generated in 0.0377 seconds.